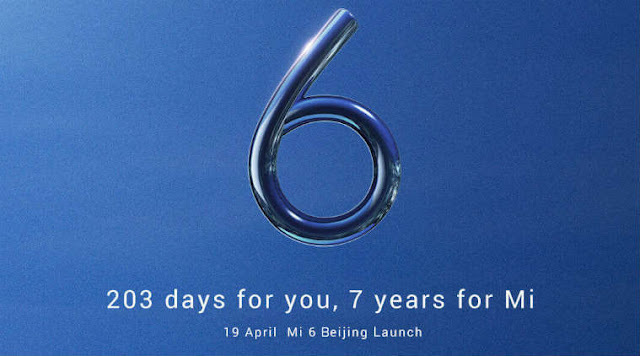 Xiaomi Mi 6 launch live Stream:“In about a few hours from now, Xiaomi’s much-awaited 2017-series flagship smartphone Mi 6 series is slated break covers ain Beijing, 2:00 pm CST local time (around 12:00 pm IST).Like previous years, Xiaomi has opened dedicated the web page to stream the entire event online so that fans can catch the live action via smart devices. Xiaomi’s Mi 6 series is expected to have major upgrades in terms of both design language and internal hardware. It is said to come in two screen sizes—one a generic, 5.1-inch Mi 6 with full HD (1920x1080p) display and a 5.7-inch Mi 6 Plus with QHD (2560x1440p) resolution. Both the variants are expected to house same Qualcomm Snapdragon 835 octa-core powered by Android Nougat-based MIUI OS. They are also expected to come packed with the 12MP dual camera on the back. watch Xiaomi Mi 6 launch live Stream Here.